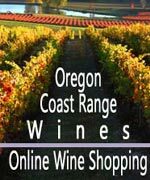 (Oregon Coast) â€“ With some of the most beautiful beaches in the world, Oregonians are always looking to keep it that way. The annual SOLVE Beach & Riverside Cleanup is part of that, with the fall installment coming up on September 19 along the Oregon coast and at inland rivers. (Above: Cannon Beach, on the north Oregon coast). SOLVE is looking for more volunteers for this event, looking to clean up Oregon's waterways and take care of its parks, neighborhoods, and natural areas. Choose from over 100 projects across the state including litter cleanups, invasive plant removals, and planting of native trees and shrubs. Volunteers can find local project details and register online at solveoregon.org, or by calling 503-844-9571 x332. Part of the International Coastal Cleanup and National Public Lands Day, SOLVE's Beach & Riverside Cleanup has been a family-friendly Oregon tradition for over three decades. This event combines SOLVE's annual coast-wide beach cleanup with inland cleanup and restoration projects statewide. Last year, 5,140 volunteers removed over 80,000 pounds of litter and marine debris, cleared 6 acres of non-native, invasive plants, and planted hundreds of native trees and shrubs throughout Oregon. "As Oregonians, we face many challenges when it comes to a clean and healthy state," said Maureen Fisher, SOLVE Chief Executive Officer. "The Beach & Riverside Cleanup gives us the opportunity to make an impact locally while joining thousands of other volunteers across the nation and the world." During this year's event, volunteers at litter cleanup sites will participate in a worldwide citizen-science effort by submitting data on the types of trash they collect. Top items collected by volunteers typically include cigarette filters, Styrofoam, plastic caps, fishing line, bottles and bags. Most plastics do not biodegrade, but instead break down into tiny pieces that can be harmful to fish, birds and marine mammals. Each piece of trash removed makes a difference for the health of our wildlife both locally and globally. Volunteers at restoration sites will also make a positive impact on wildlife and their habitats. Removal of invasive species, such as English ivy and Himalayan blackberry, helps native plants to thrive which reduces erosion, provides vital nutrients, and shades our streams. Oregonians are urged to join SOLVE on September 19 to make a difference in their community. This year's event runs from 10 a.m. to 1 p.m. (dates and time may vary by site). 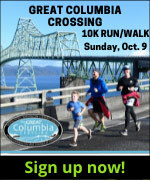 Volunteers are encouraged to pre-register online at solveoregon.org, or by calling 503-844-9571 x332. SOLVE is a statewide nonprofit organization that brings people together to improve our environment and build a legacy of stewardship. Over four decades, the organization has grown from a small, grassroots group to a national model for volunteer environmental action. Today, SOLVE mobilizes and trains tens of thousands of volunteers across Oregon to clean up and restore our beaches, rivers, neighborhoods and other natural spaces. Visit solvoregon.org for more information.